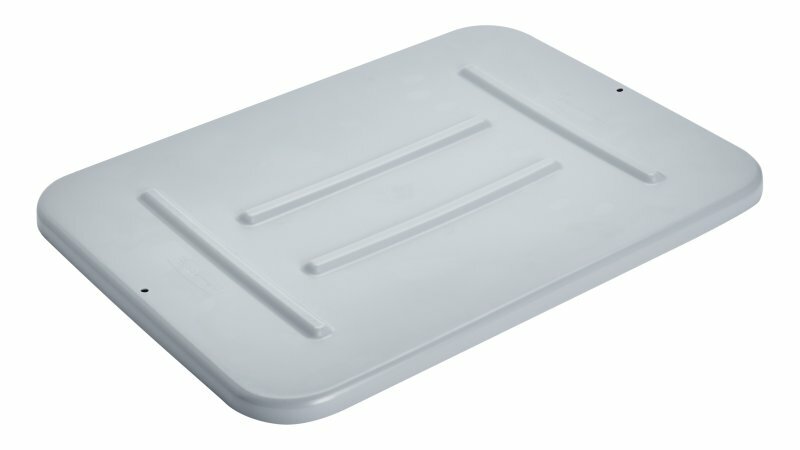 This Rubbermaid Commercial Tote Box Lid is made of durably polyethylene and snaps on tightly. This Rubbermaid Commercial Tote Box Lid is made of durably polyethylene and snaps on tightly. For use with Rubbermaid Commercial tote boxes (sold separately).